Before the Huskies conquer the football field at Homecoming, the Golden Knights will conquer the sky. In celebration of the 50th anniversary of the Huskie ROTC Battalion, the U.S. Army parachute team will deliver the game ball just before kickoff at 2:30 p.m. Oct. 13 when the Huskies take on the Ohio University Bobcats for the 112th Homecoming football game. The NIU Foundation is sponsoring the Golden Knights visit. Get homecoming game tickets at Ticketmaster. NIU Athletics has reserved a block of seats for NIU ROTC alumni for only $15 a ticket at this link. The aerial demonstration is one of numerous events planned in celebration of the 50th anniversary of the NIU ROTC. With a theme of “Honor & Connect,” the celebration will honor the cadets, the alumni and the cadre who’ve made the program soar since 1971. It also marks the first official reunion of NIU ROTC alumni, said Lt. Col. Karl Nilsen, professor of military science and chair of the Military Science Department at NIU. Alumnus Kevin Madden of the class of 1982 will lead four NIU ROTC alumni–Paul Francik (’71), Rich Plettau (’08), Gifford Haddock (’91) and Jim McCarten (’01)–in a leadership panel at 1 p.m. Oct. 12 in the Clara Sperling Sky Room at Holmes Student Center. The event is open to NIU students. After the panel at 5:30 p.m. Oct. 12 in the Barsema Alumni and Visitors Center will be an Alumni NIU ROTC 50th Anniversary Dinner. Among the attendees are a member of the first class of NIU ROTC, a member of the Class of 2018 and alumni representing the decades in between, as well as Nilsen and three previous NIU ROTC professors of military science. “Part of what we want to do is honor the cadre who work there,” said retired Col. Beth Liechti Johnson, chair of the NIU ROTC 50th Anniversary Committee and a 1981 graduate of the program. 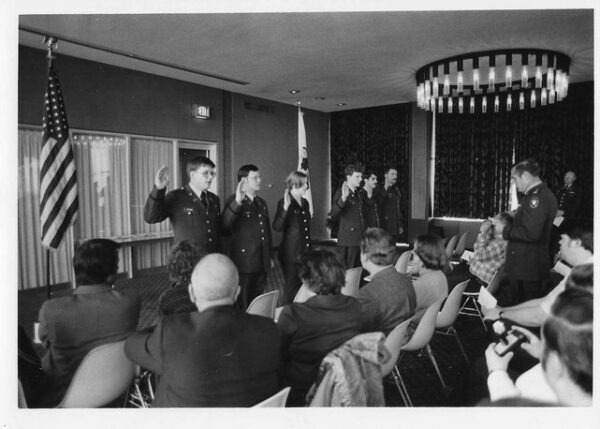 Retiring in 2009 as a military analyst and public affairs officer in The Pentagon, Johnson knew little about ROTC when she showed up as a military science student in 1977 at NIU. She credits Lt. Col. David Whatley, a professor of military science at the time, with helping her obtain an ROTC scholarship. “Because he took that chance, I spent an incredible 28 years with the U.S. Army doing a job I never would have imagined,” she said. Johnson was the first NIU ROTC female graduate to become a colonel. Among numerous adventures during ROTC, she rappelled off cliffs on the Mississippi River, camped in the Palisades and headed to Ft. Benning, Georgia for training, where she took her first jump out of an airplane in 1979 after signing a six-year contract. “Everyone joins the Army for a different reason: family tradition, steady employment, benefits, a chance to see the world, education. A few of my fellow cadets, with character beyond their years, wanted to do their duty and to serve their country. Me? I just really wanted to jump out of airplanes,” she joked. Any celebration of NIU ROTC deserves a wow-factor, said Johnson and others involved in the celebration. 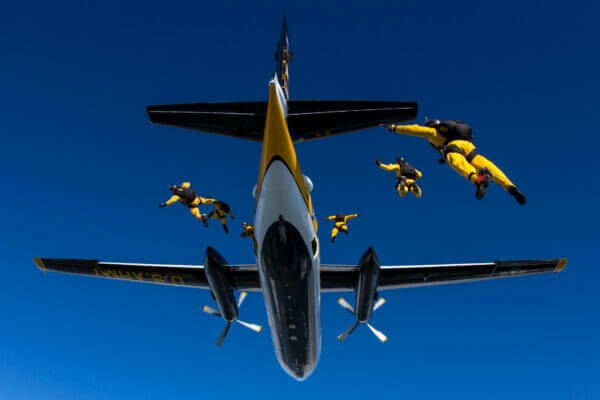 An NIU ROTC alum of the class of 1996 and a former battalion commander for the Golden Knights, Colonel Matt Weinrich spearheaded efforts to bring the champions of the sky to NIU. Weinrich has wanted to bring the Golden Knights to NIU since his days as battalion commander and said he can’t wait to return to campus for the celebration. “I never intended to make the Army a career. ROTC was a mechanism to kind of help me through school and to give me some time to consider what I wanted to do for a career, and, here I am almost 24 years later, still enjoying what I’m doing. It’s given me a lot of opportunities,” said Weinrich, who is currently enrolled at the United States Army War College in Pennsylvania. The Huskie Battalion was established in 1968, with NIU granting the ROTC program its current academic status as the Department of Military Science in 1969. When classes began, the department offered 10 credit hours in Military Science, and 83 cadets enrolled. 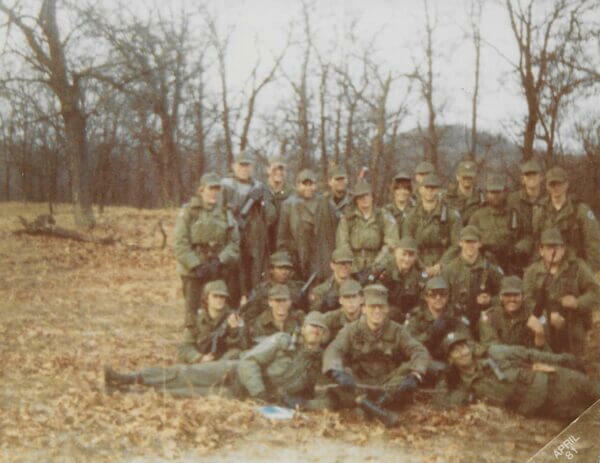 This group of Huskie ROTC cadets resulted in the battalion commissioning its first 16 lieutenants in the spring of 1971. In 2004, the Department of Military Science moved to its current location in the Chick Evans Fieldhouse where a “Huskie Project” memorial now stands in honor of the 50th anniversary. Alumnus Tom Bisping, a graduate of the class of 1982 and the founder and first president of the NIU ROTC Alumni Association, donated a wooden memorial topped with a life-size sculpture of a huskie dog. Each of the four sides of the memorial displays brass plates of the names and numbers of the NIU ROTC graduates commissioned as officers into the U.S. Army since 1971. For more information on homecoming events, visit https://niu.edu/homecoming/.